No one is more committed to women's health than HCA East Florida. We're proud to offer a wide array of programs and services to meet the unique health needs of women. We're prouder still of the team of nurses and other professionals who make sure every woman receives the best possible care. We've brought together the best team in East Florida and we want you to be a part of it. At HCA East Florida, we invest in our nurses to give them the support they need to achieve personal and professional success. From having a choice of locations to having opportunities to advance and grow in your profession, we stand by our nurses throughout their careers. You make outstanding care possible. We make sure you have every career opportunity possible. Build your career with the best team in East Florida. We're looking forward to working together to ensure the highest level of women's healthcare. 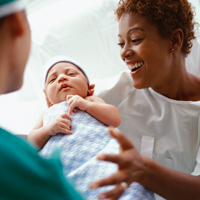 More than 11,000 babies are born each year at HCA East Florida Hospitals. Our specially designed birthing suites, also known as Labor and Delivery Rooms (LDR) offer the latest technology in a comfortable, safe and welcoming environment for mothers, babies and their families. Eight of our hospitals offer obstetric services with neonatal care ranging from Level I to Level III neonatal intensive care units. Our newest additions are The Birthplace at JFK Medical Center, a family-focused environment with the latest in technology and equipment, which opened in 2015, and Palms West Hospital's Level II NICU with opened in April 2017 to serve the specialty care needs of their littlest patients. Find the location that best fits your career and your commute. Kendall Regional Medical Center's Burn Center is 1 of only 6 Burn Centers in the state of Florida and provides specialized care for children and infants, as well as adults.